We begin our trip in the Nation’s Capitol - Washington, DC as the meeting point where we will take a bus ride to the Jamestown Virginia Settlement for a prayer vigil and candle lighting ceremony marking the 400 year anniversary of the first enslaved Africans arrival and honoring the memory of all those stolen from Africa over 400 year ago. Our morning starts with a special visit to the National Museum of African American History and Culture designed by Ghanian architect Sir David Adjaye on the National Mall before departing to Ghana. In the afternoon we depart from Washington Dulles International Airport to Kotoka International Airport in Ghana, West Africa on a direct flight with South African Airways at 5:40 pm. We arrive at 8:30 am into Kotoka International Airport’s new International Terminal. After a warm cultural welcome, we check in our hotels and prepare for the evening’s activities. In the late afternoon, we move to Jamestown, Accra to be welcomed by local chiefs, politicians, community leaders and the traditional council of Jamestown. We end with an ancestral healing ceremony at the ocean. Join leading government, NGO, and private sector leaders for workshops, discussions, presentations, panels, and networking for a full day of learning about business, development, and investment in Ghana. End the day with a special networking happy hour hosted by one of Ghana’s leading CEOs. *Individuals not participating in the summit have the option of group day tours or self-guided tours. Close out the the final day of the summit with a half day of business networking, closing panel discussion, and presentation on active capital investment projects in Ghana. Attendees will have the opportunity to meet with leaders in the banking industry, as well as leading private sector and non-profit CEO’s. The evening is summed up with a special VIP back tie gala hosted by the Office of the President. 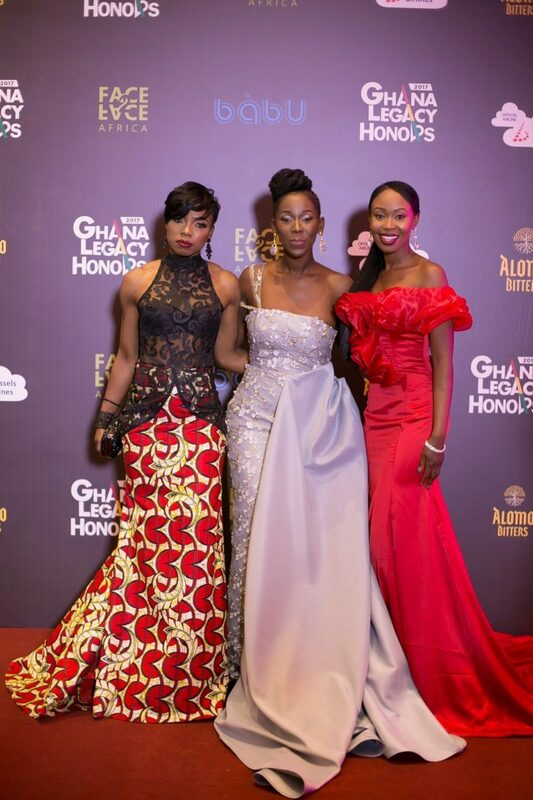 All attendees are encouraged to add an African flair to their evening attire. After breakfast, we depart Accra for Cape Coast in the Central Region driving through several fishing villages and coconut tree lined beaches. Prior to touring Cape Coast Castle, we pay a courtesy call visit to the local tradition Council of Cape Coast. Participants will complete a comprehensive tour of the Cape Coast Castle slave dungeons, and the West African Heritage Museum. After walking through the Door of Return we begin the African Ancestry reveal. End the evening with the Resilience Beach party at Coconut Grove Beach Resort. Attendees will visit Assin Manso Last Bath Slave River, the burial site of the two former slaves exhumed from New York and Jamaica interred in Ghana on Emancipation Day in 1998. The Slave River was where the enslaved Africans had their last bath before their trek to the coast for shipment to the western world never to be returned. Extended stay participants will move on to Kumasi and others will return to the hotel for their final night. 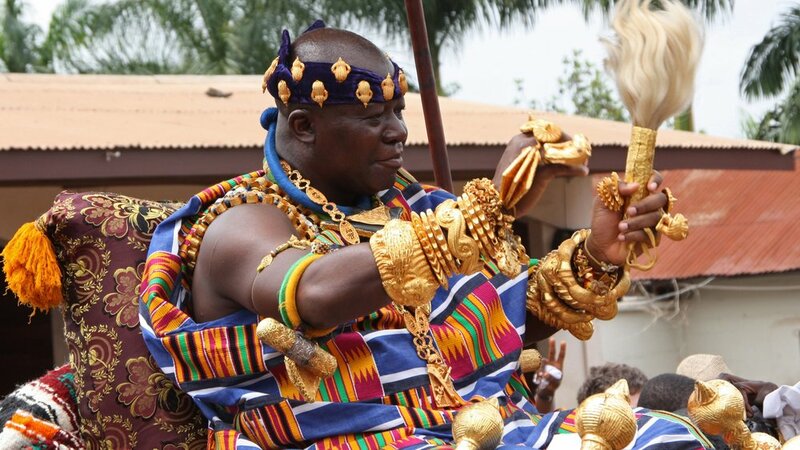 Kumasi is home of the great Ashanti Kingdom. Extended stay participants will attend the Akwaside Festival at Manhiya Palace, the seat of the Asantehene - King of the the Ashanti people. Akwasidae is a festival held every 42 days to honor personal and community ancestors. This is an opportunity to experience traditional Ghanian culture in all its splendor, color, grace, strength, and vibrancy. After breakfast we visit a few Ashanti crafts villages. Bonwire is famous for Kente cloth production. Observe weavers exhibit their skills in producing the clothe and try your hand at it. Ntonso, noted for its indigenous artisans whose expertise lies in Adinkra textiles printing using traditional symbols that express the spiritual, moral, political and socio-cultural philosophies of the Akan people. Ahwiaa – the woodcarver’s village specializing in woodcarving such as the Ashanti stools, fertility dolls and walking sticks. After Lunch, we return to Accra. After breakfast go on a city tour of Accra visiting the vibrant open air Makola Market offering fresh farm produce, clothes, electronics, and other goods. 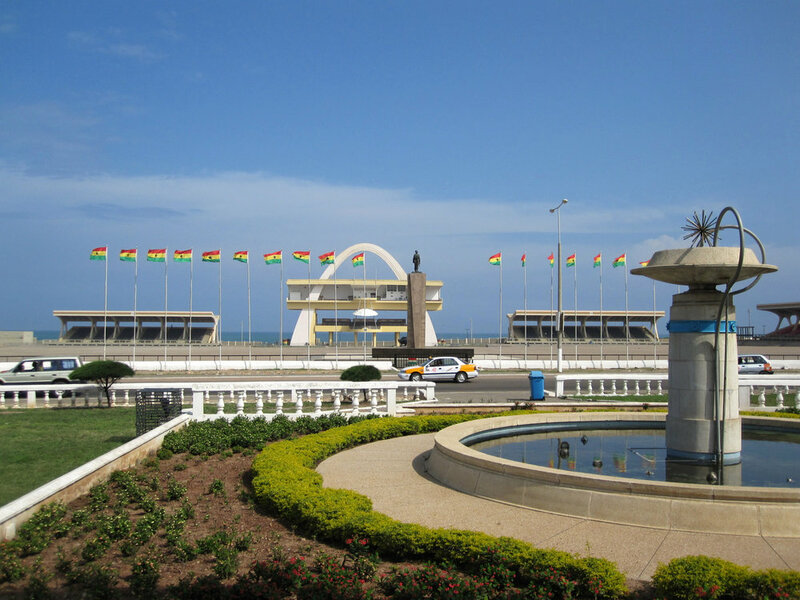 Continue through Old Accra visiting Independence Arch, and Black Star Square, Accra’s ceremonial grounds. After lunch visit W.E.B. Dubois Centre for Pan Africanism and Kwame Nkrumah Memorial Park, burial place of the first President of Ghana..